and during the Kindergarten year. 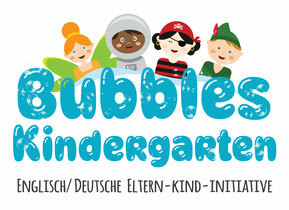 If you're interested in enrolling your child at Bubbles Kindergarten, please complete our online application form. Our goal is to create an optimal environment to encourage social interaction and language development. After we review all applications, we will contact those families whose children best match the mentioned criteria for a diversified group of 17-18 children. Children should be 3 years old to start at Bubbles and siblings should be 2 and a half years old. Waiting List applications may be submitted for children who are at least 18 months old.